In Stock! 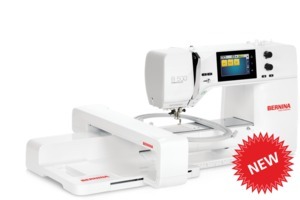 The B 500 is an embroidery only machine that offers embroiderers Pinpoint Placement, Undo/Redo, Group/Ungroup and the Re-arrange design stitch order feature. Additionally, it has 8.5" freearm space right of the needle. 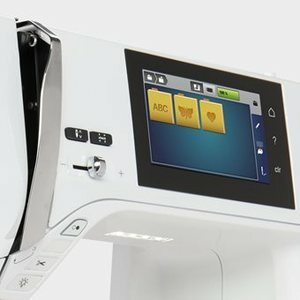 Other embroidery features available on the B 500 include: a new Color Wheel and access to a Creative Embroidery Consultant. 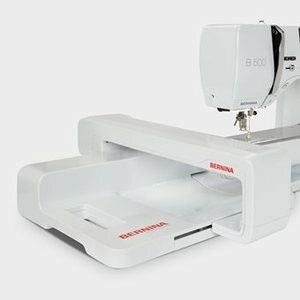 Bernina B500E Next Generation Embroidery Only Machine. More space for creative freedom. Handle big projects with ease. Comfortably create endless designs. Re-designed embroidery module. The extended freearm offers 8.5" right of the needle. Enjoy a large embroidery area of 15.75" x 6.5" to bring your embroidery ideas to life. Edit your designs with ease. Simply undo & redo steps. Edit designs as a group or break apart. Customize the stitch-out sequence. With the Enhanced Editing Functions you can realize your ideas directly on screen and use your creativity to create new designs. Automatic features save time. No manual thread cutting. Press a button to lift the foot. Press a button to cut your thread. The automatic thread cutter operates three steps in one: cuts the thread, lifts the needle and raises the presser foot. Perfection is the new standard. Manage thread cuts with ease. No manual trimming on top side. 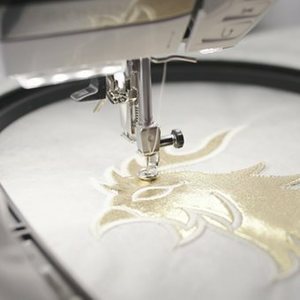 Achieve perfect embroidery results. The Thread Away Mode pulls the threads down to the underside for clean embroidery results on the top. 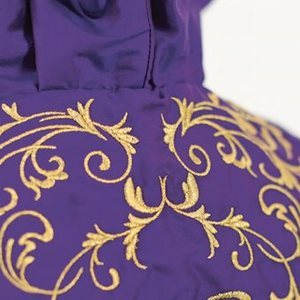 Finest embroidery results for you. Perfect stitches, fast & quiet. Jumbo bobbin to embroider longer. Frontload the bobbin with new thread. 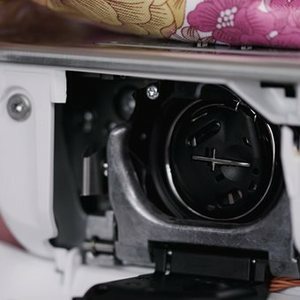 The BERNINA Hook keeps the stitches consistent and precise with a maximum speed of 1,000 stitches per minute. Easy design positioning. Position designs easily and precisely. No need to use the template anymore. Perfect results in short times. 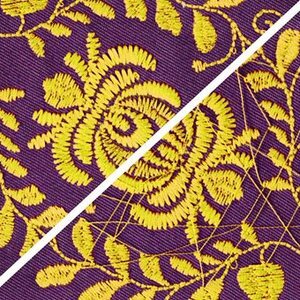 Use Pinpoint Placement to position your design precisely: select two points and match them with the markings on the hooped fabric.